Do you have a bedroom or family room that is looking shabby or outdated? If so you may want to consider a room remodeling project. Not every room remodeling project requires extensive framing and construction skills. The room remodeling tips suggested below can modernize a room without requiring extensive carpentry skills or breaking the bank. The first step in remodeling a room is to develop a plan of attack. Write down what you are looking to do in the room and figure out material and labor costs for each item. Also develop a schedule of when you will do each phase of the project. This is important to do regardless if you are doing the work yourself or hiring a contractor. By developing a schedule you can help ensure you finish the room remodeling project in a reasonable period of time. When tackling a room remodeling project it is best to start from the ceiling and work your way down to the floor. The next major step in a room remodeling project is clearing it out of your personal belongings. Remove all wall and floor covers, as well as the furniture. Applying a fresh coat of linen white paint to a ceiling can really brighten up a room, and should be the first step in any room remodeling project. Whether your ceiling is a smooth finish, textured finish or popcorn finish, you can apply ceiling paint, so there are no excuses for not doing this. Just buy the paint and roll it on. If you have a popcorn ceiling and are interested in removing it, make sure you have it tested for asbestos prior to scraping it off. If you have ceiling lights or wall sconces that are looking worn out or out of date, then replace them after painting your ceilings. The next step in remodeling a room is to patch all of the nail holes in the walls with spackle. In addition, if your room remodeling plans include replacing the baseboard trim, this is a good time to remove it. After patching the walls apply a fresh coat of paint to the walls. Earth tones or neutral colors are very popular today, so think twice before putting on that ruby red paint if you have any plans of someday selling the home. Once the wall paint has dried, install the new baseboard trim if your room remodeling plans include it. Prior to installing baseboard trim it is advantageous to stain or paint it first. It is much easier to touch up baseboard trim then it is to stain or paint it after it has been nailed to the wall. 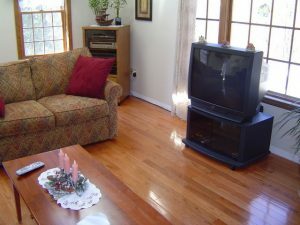 After the ceiling and walls have been renovated you are now ready to tackle the floors on your room remodeling project. There are many choices to choose from when it comes to home flooring, so make sure you consider the intended use of the room carefully and have looked at all the various floor choices before making a decision. If you are remodeling a bedroom you may want to include closet organizers in your room remodeling plans. Closet organizers are excellent for maintaining a clean and clutter free bedroom while still providing easy access to your clothes, shoes and other belongings. With these simple and basic tips you can remodel your room in just a few weekends and not break the bank in the process. If you need to hire a contractor make sure you check their references first prior to hiring them. To find a contractor for your room remodeling project, contact your friends and neighbors, and/or check the phone book. 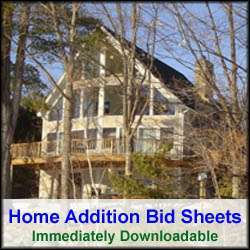 Alternatively, you may want to consider using a national home remodeling contractor referral company. They have pre-screened and qualified remodeling contractors all around the country and maintain their names and contact information in a database. Plus, their services are free to the homeowner. You simply fill out a free online form for your specific room remodeling requirements and they will forward the information on to 3 or 4 contractors located in your area.